Alec Martinez will return to the NHL tonight, joining a Kings team that has lost four of their last five games. He’ll also be facing some small little club you may have heard of, the Montreal Canadiens. Outside of Toronto, it may just be the most hockey crazed market in North America. Fortunately for Martinez, with just a few games of NHL experience, he’ll probably go under the radar for most of the local media. In fact, their big story heading into the game is most likely named Jonathan Bernier. 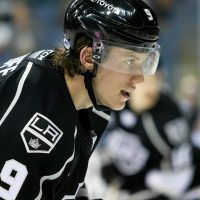 * First off, you’ll be glad to know his nickname isn’t ‘Ally.’ According to Corey Elkins, his teammate in Manchester (AHL), they call him ‘Marty.’ After it was announced Martinez would join the team this week I asked Elkins about his recent play with the Monarchs and he said, “Marty has been awesome on the power play for us. He takes smart shots that get through traffic and moves the puck real well. 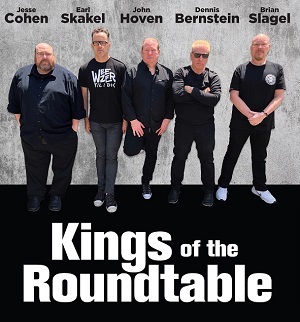 Its fun to watch.” Coach Terry Murray is probably hoping he’ll be fun to watch for the Kings. * He’s spent the last two years with Manchester, sans his brief time in LA last season. 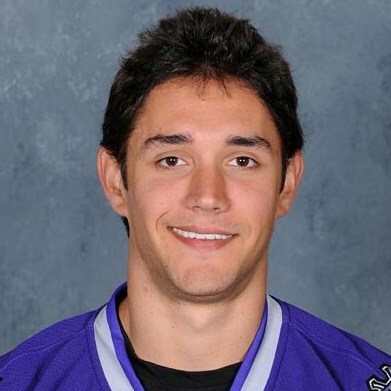 During his rookie year in the AHL (2008-09), Martinez posted eight goals and added 15 assists in 72 games. Then, last season, he led all defensemen with 30 points (7g, 23a…while playing in only 55 games). Prior to his call-up yesterday, Martinez was a plus-four in 20 games and his 16 points (5g, 11a) were leading all players on the team. * Going back in time a little, Martinez grew up in Michigan – minus a three year period where his dad took a job in Northern California. During grades six through eight, he played for the Santa Clara Blackhawks and San Jose Jr. Sharks. Who is the most famous player to ever suit up for a ‘Hawks team? Buffalo Sabres goalie and Olympic MVP, Ryan Miller. * Once he returned to Michigan, he went on to letter at Stoney Creek High School all four years…yes, in hockey. Martinez also represented the United States in 2004 at the Under-18 Junior World Cup. * Played in the USHL – as have several current Kings, including Davis Drewiske. Martinez was there from 2004-05, playing for the Cedar Rapids Roughriders. One of the guys Martinez had had as a teammate that year was former Kings winger, Teddy Purcell. 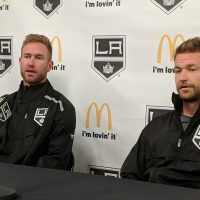 They faced off several times that season against the Des Moines Buccaneers, which included Kings winger Trevor Lewis. Overall, Martinez had 21 points (10g, 11a) in 58 games and was a plus-16. By comparison, Lewis had 22 points in 52 games. * He went on to play three years at Miami (of Ohio) University, where he was an accounting major. For those who have watched ESPN for years, wondering what the deal is exactly with Miami of Ohio and why they had to steal their name from some city in Florida – well, here’s some info for ‘ya. Miami, FL was settled in 1825 and incorporated in 1896. Miami, Ohio is actually not a city, but a county. The university is in Oxford, Ohio and both were founded in 1807. * The RedHawks are now known as one of the powerhouse teams in college hockey, however that wasn’t so much the case before Martinez arrived. They actually achieved their initial taste of real success during his first year – being ranked No. 1 in the country for the first time and winning their first Conference (CCHA) Championship. However, come playoff time, they began a stretch of three straight seasons where they were eliminated by the same team – Boston College. He also just missed out on the real success of the program, as the year after he left they were moments away from their first National Championship. This time, it was Boston University that did them in – scoring two goals in the final minute of the championship game to force overtime. BU would eventually score in the extra session and claim the title. * Also during his first year, Martinez scored the game-winner in overtime against Western Michigan University, sending Miami to the CCHA Championship. His game-winner was the final goal in the history of Goggin Ice Arena, as the following year the team moved into their current home, the Steve Cady Arena (named after the school’s first hockey coach). * Martinez led all defensemen with 24 points during his second season. He also played every game on the RedHawks schedule all there years he was there. * One of his college teammates was Jeff Zatkoff, a Kings goaltending prospect (currently playing in Manchester). 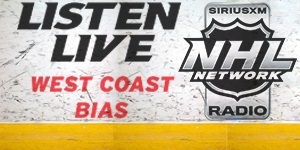 Both were drafted by Dean Lombardi in 2007. 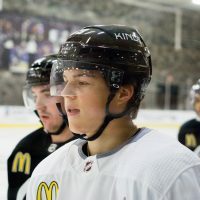 The only other player in Kings history to be selected from the school was Greg Hogeboom (2002). 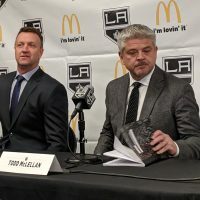 He went on to play for Manchester and spent last season with the Ontario Reign. This year, he’s playing with the Texas Brahmas of the Central Hockey League. Back to Martinez…he was taken 95th overall and later that same round the Kings took Dwight King (#109), who was called up last week. This last note is unconfirmed, so we wont count it as an official tidbit. He wore #53 when he made his NHL debut last season against the Phoenix Coyotes. Until told otherwise, we’ll assume he’ll wear it again tonight vs. the Canadiens.